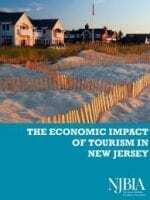 New Jersey’s tourism industry is a significant contributor to economic development, generating nearly $42 billion in sales from nearly 100 million people who visited the Garden State last year, according to a report released today by the New Jersey Business & Industry Association (NJBIA). 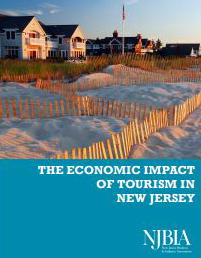 “The Economic Impact of Tourism in New Jersey,” based on NJ Division of Travel & Tourism data, showed that direct tourism sales grew in 20 of the 21 counties in 2016 and that both visitors and tourism revenue are expected to continue to grow through 2020. “Memorial Day is right around the corner, and that represents the start of the summer tourism season,” said NJBIA President and CEO Michele Siekerka. “From our mountains and lakes to our position as the crossroads of the American Revolution and, of course, our 130 miles of relaxing beaches, New Jersey is a prime vacation destination. 98 million people visited New Jersey last year and spent $41.9 billion. Tourism is the sixth largest private sector employer, providing 321,231 jobs directly in 2016. Jersey shore counties scored the highest totals in direct sales with Atlantic earning $6.8 billion, Cape May earning $6.3 billion, and Ocean $4.7 billion. Passaic County saw the biggest growth in tourism sales, increasing by 5.7 percent over 2015, followed by Mercer County with a 5.5 percent increase. Lodging, Food and Beverage, and Retail sectors account for the lion’s share of tourism industry sales with 27.4 percent, 24.9 percent and 18.6 percent respectively. In 2020, 108 million tourists are expected to visit New Jersey and account for $49 billion in sales. Tourism plays a major role in the state’s continuing economic growth, both directly and indirectly. New Jersey should nurture this industry so that it can continue to have a positive impact on employment, tax revenues, and the many New Jerseyans who rely on it for their livelihood.